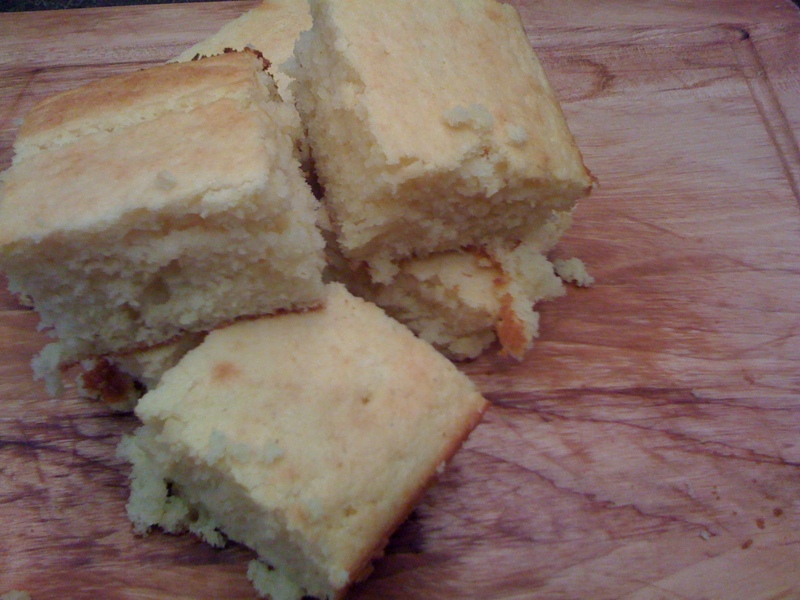 I have tried many a corn bread recipe, big and small, some using shortening, some honey, some butter. This has been our favorite and although I know I will use and try another this is the best I have found so far. 1. Cream together the butter and sugar in a medium-sized mixing bowl until creamy. Add eggs one at a time, then milk. Beat in remaining ingredients. 2. Pour mixture into a greased 13×9 inch pan and bake for about 30 minutes at 400 degrees. Check with toothpick to make sure it is done cooking in the center. 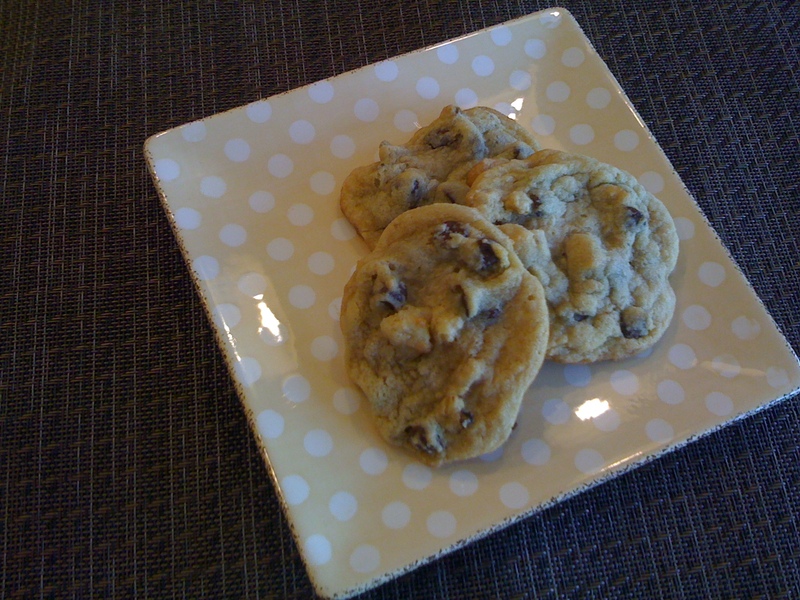 Tips- Serve with Jam or honey for an extra tasty treat! It’s Halloween. We love holidays in this house. We even make up our own. Yup we are quirky like that. 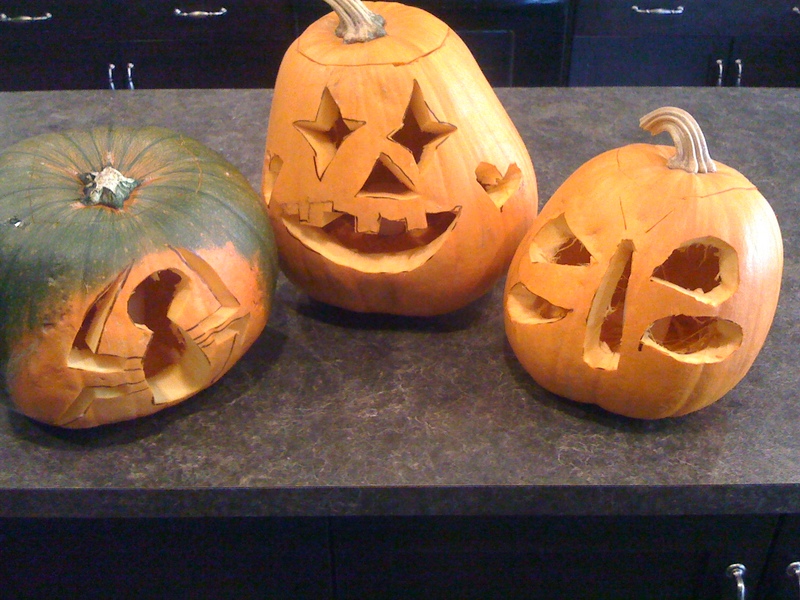 So Happy Halloween everybody, it looks like we may be trick or treating in the snow tonight! I bought a bunch of candy to hand out so I am hoping that we get lots of kids! In our house this year we will be having Batman, A Bride and a female version of the Mad Hatter from Alice in Wonderland. To cute! 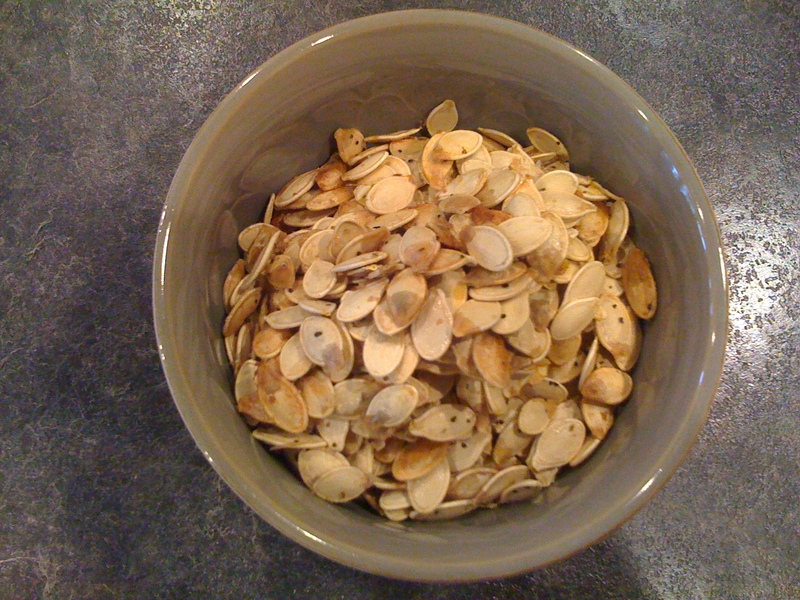 Anyways here is a quick and easy recipe for pumpkin seeds. 1. 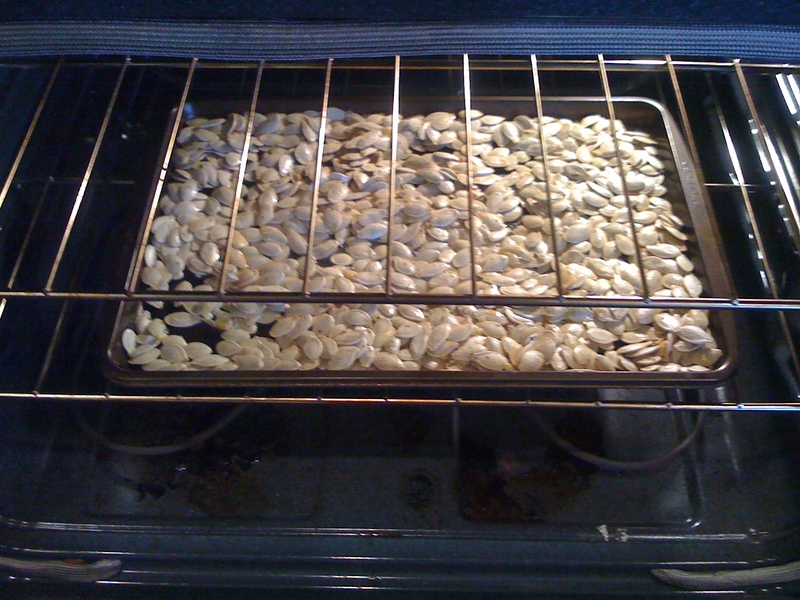 After pulling out pumpkin seeds, rinse of all pumpkin residue. 2. Mix in bowl with all other ingredients until coated. 3. Bake at 300 degrees for 45 minutes, stirring once halfway through.